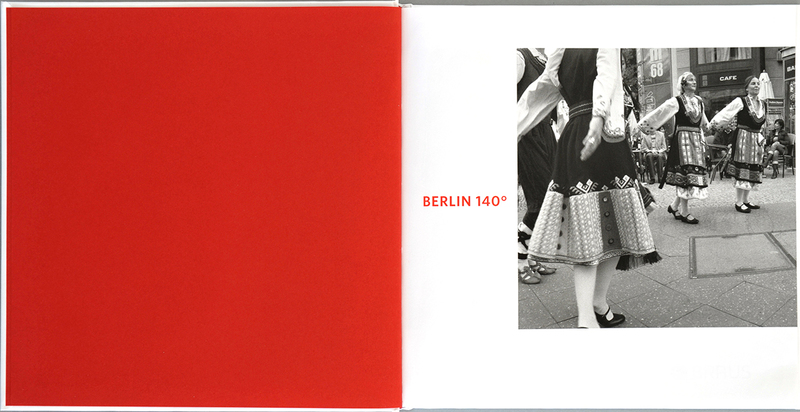 Furthermore, panoramic photographs give an insight into urban daily life: each picture telling a short story of Berlin. 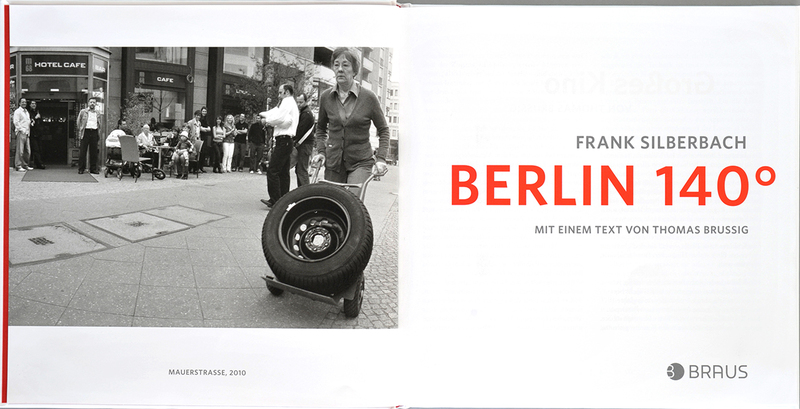 The silent observer seems to take all the time in the world for his panoramic street views of Berlin. Indeed, Frank Silberbach won’t be rushed, let alone seduced by a hurried effect. He involves himself in the city as attentively as he is laid back about it, taking in its streets and squares, its beautiful as well as rough sides, its interesting and odd, elegant and scruffy inhabitants, its seasons and the constantly changing weather. 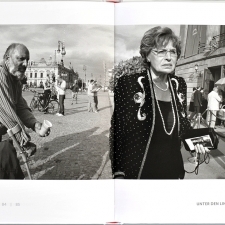 As to all the renowned street photographers of the 20th century – like Zille, Cartier-Bresson, André Kertéz, Robert Frank – the street is the most diverse and the most frequented place of the city to him. The most “public” place of the public spaces, if you like. 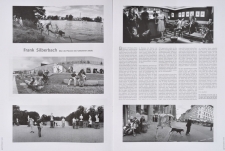 Panoramas - that have been Silberbach’s hallmark for seven years, and that he has published in the Saturday magazine supplement of the Berliner Zeitung on a weekly basis over a long period - are not all that easily photographed. 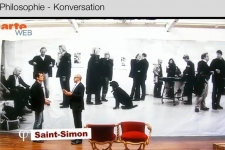 His images are not a lifeless documentation, but permeated with emotion and humour. It’s a different approach compared to classical lithography. 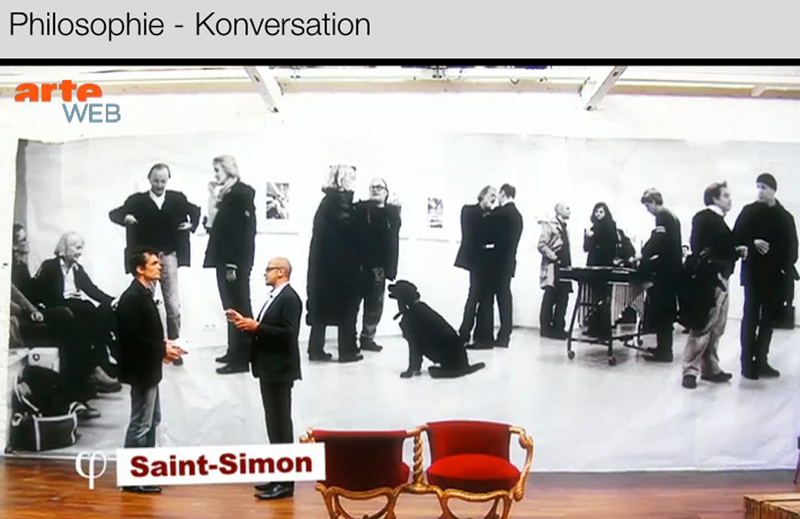 The extreme format has to hold the image, not let it dissolve at the edges. It has to remain clearly visible like a good stage design. And it needs a clever as well as solid composition, a balanced one - even if a panoramic image like the one printed here questions the social balance of the metropolitan city: The man on the bench in front of the undertaker’s firm on the grounds of a housing estate doesn’t notice how passers-by are looking at him with curiosity – or worry? – or how they are just walking by indifferently. One has got used to such scenarios, and may be thinking in passing: “poor drunkard”, or perhaps even “his own fault”. The photographer imposes no judgements, is just capturing en passant what is often overlooked. He does not arrange a scenario, but comes across it coincidentally, capturing it in crisp black and white, and leaving it up to the viewers to form their own opinions. 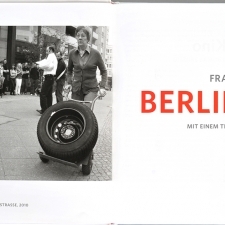 Viewers are invited to bring their own experiences made with Berlin, its locations and its people to the images. 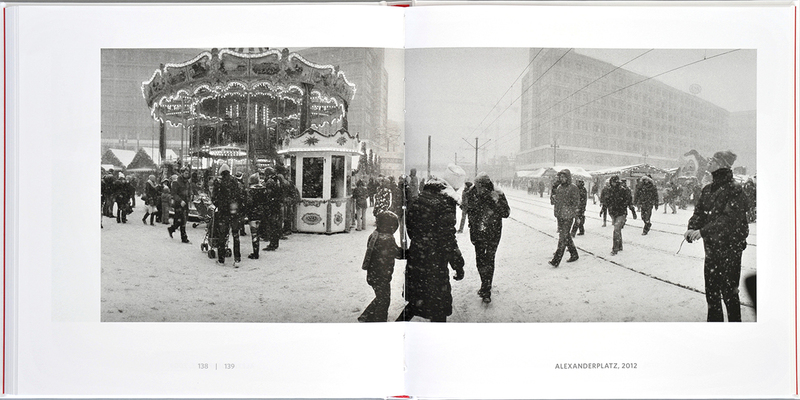 Time seems to stand still in his pictures, parallel stories with a greater or lesser focus being told at the same time. 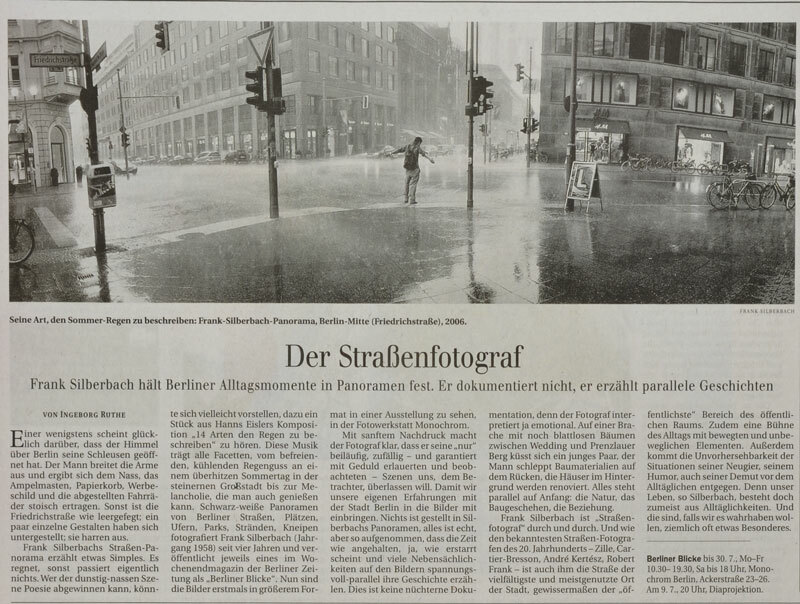 Ever since the years in which Frank Silberbach published his photographic panoramas in the Saturday magazine supplement of the Berliner Zeitung on a weekly basis, panoramic photography has formed an integral part of his creative work. 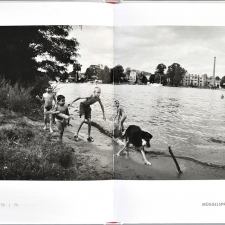 Based in Berlin and at home in the big city, he naturally focuses on the city's inhabitants. 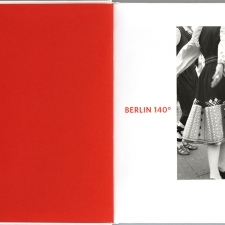 Based in Berlin and at home in the big city, he naturally focuses on the city's inhabitants. 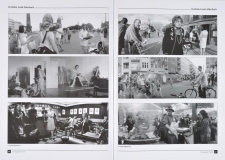 He follows in the tradition of street and life photography, though with the essential difference, that this type of work becomes even more difficult to handle in the panoramic format - for the whole width of the space needs to be filled to create a real picture. Over the years, Frank Silberbach has developed a photographic eye, scanning everyday occurrences with a deliberate use of intuition. 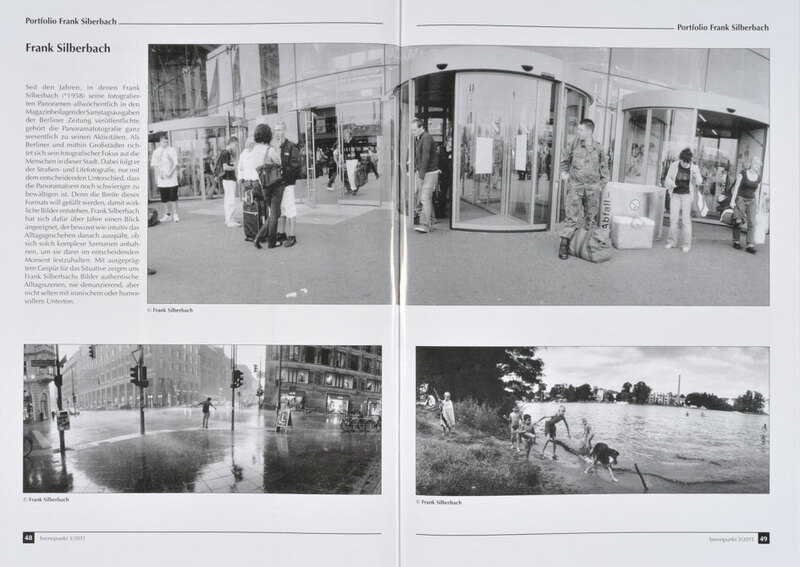 He anticipates the unfolding of such complex scenarios, which allows him to capture them in the decisive moment. Relying on his pronounced sense of situation, Frank Silberbach's panoramic images show people in authentic everyday scenes – without exposing them in a negative light, but with a frequent undertone of ironic humour. In working with panoramic photography, Frank Silberbach follows a long tradition, adopting what has been traditionally perceived as a bourgeois form of perception. Due to their wide angles, we perceive panoramas like landscapes, viewing them as horizons. However, it's not the landscapes that interest Frank Silberbach. 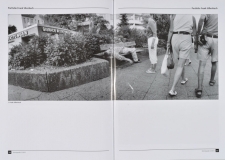 Based in Berlin and at home in the big city, he naturally focuses on the city's inhabitants. He follows in the tradition of street and life photography, though with the essential difference, that the challenge this type of photography poses is even more difficult to handle in the panoramic format - for the whole width of the image wants to be filled to create a real picture. What happens as an exciting scenario before the eye of the camera, needs to fill up the entire space of the panorama. That's exactly where the challenge lies. Over the years, Frank Silberbach has developed a photographic eye, scanning everyday occurrences with a deliberate use of intuition. He anticipates the unfolding of such scenarios, which allows him to capture them in the decisive moment. 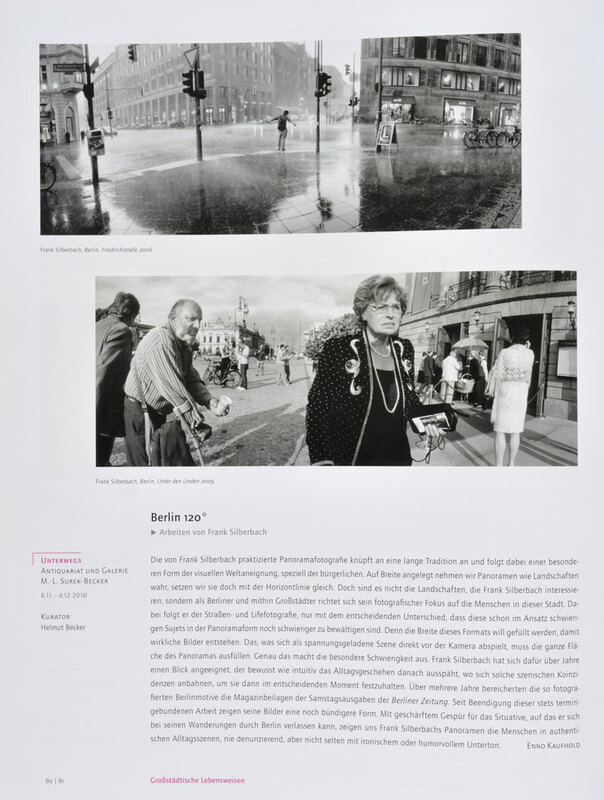 Over many years, his images of Berlin that he photographed in this way, were printed in the Saturday magazine supplement of the Berliner Zeitung. Ever since he terminated this deadline-based work, his pictures have become even more concentrated. 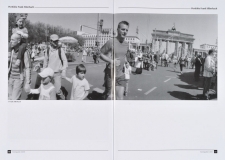 Relying on his pronounced sense of situation as he wanders the streets of Berlin, Frank Silberbach's panoramic images show people in authentic everyday scenes – without exposing them in a negative light, but with a frequent undertone of ironic humour. 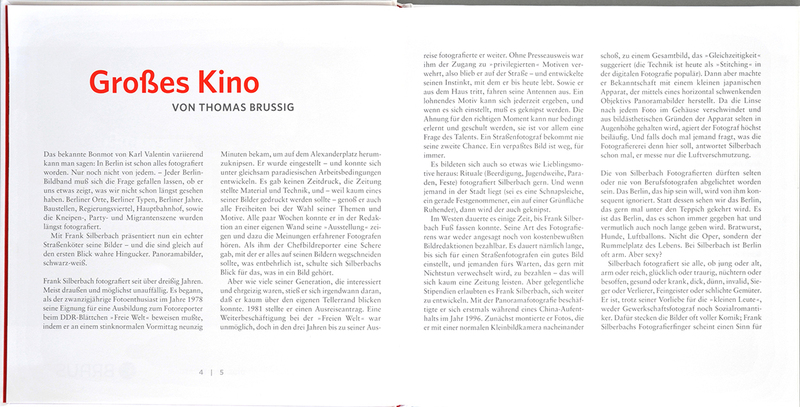 When coming to think about it, Frank Silberbach's panoramic photographs appear like a logical consequence - for he uses a photographic format for that many forerunners have existed for centuries. And still, this doesn't take us back to the source of the panoramic image. It goes back centuries, way before photography as such emerged. 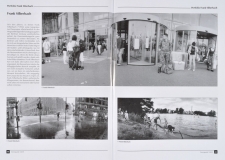 Consequently, a panoramic perception is not primarily about the technical possibilities, such as the construction of the camera or the lens, but about how perception is captured in an image. It is, however, quite apparent, that panoramic depictions have become more condensed with the emergence of photography in the 19th century. This is also a reflection of the bourgeois perception that has started to become more progressive with the onset of industrialisation around 1800. Circular panoramas gained great popularity then, installed in special buildings to entertain the public, namely the Bourgeoisie, in big cities. They showed a 360° view of cities and landscapes, as well as of religious or historical events. One of the last panoramas to be completed, back in the days of the former East Germany, can be found in Bad Frankenhausen in Thuringia, with images of the Peasants’ War of 1525, painted by Werner Tübke. It has been enjoying growing numbers of visitors for many years, which says a lot about the popularity of panoramas. So does the transition of the cinema format to wide screen over the last decades, or the recent change of the television format to the screen ratio16:9. 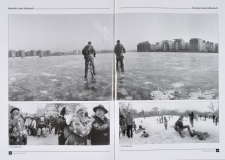 Frank Silberbach's panoramic photographs go along with this tradition. At first, compiling a panorama out of individual images is what fascinated him, along with the opportunity to be able to put more into the picture. In this montage technique, perfected greatly during his visits to China in the mid-Nineties, the individual images are arranged around him as a central focus, with larger or lesser time lapses between the shots. It was only later that he turned to a special panoramic camera, with a lens that swings at the moment of exposure to achieve a 120° angle. It was, however, not until November 2004, when the Berliner Zeitung asked him to photograph everyday scenes of Berlin for the weekend magazine supplement, that he got involved with this format more intensely. A project intended for a limited period turned into an ongoing feature. 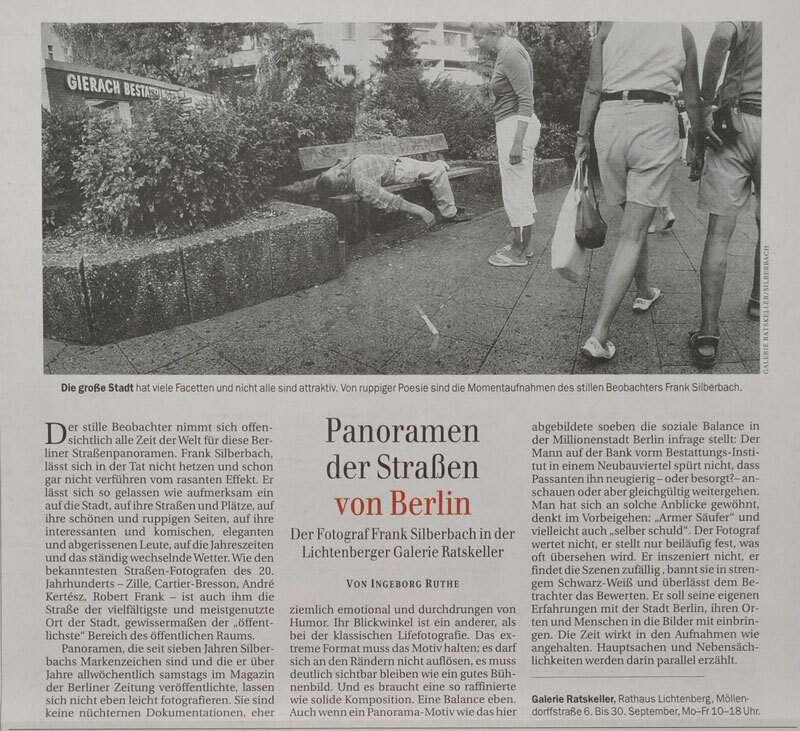 By now, his panoramas entitled „Berlin Views“ have become an integral part of the weekend supplement, and something like an institution. Compiled from the abundance of images, a representative selection of the original photographs can be viewed at the Monochrom Galerie in Berlin for the first time as a retrospective. 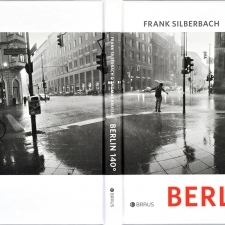 As much as tradition resonates in Frank Silberbach’s panoramas, as much they possess their very own quality, clearly relating to the history and unique properties of photography. In his work, he takes on the special requirements and challenges posed by life and street photography. 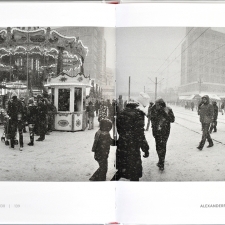 Hence, he doesn’t photograph large street views with architectural compositions or panoramas of landscapes, but concentrates on people in an urban space. That explains his attentive observing and his eagerness to have the camera ready at any time to capture what seems a worth-wile moment. 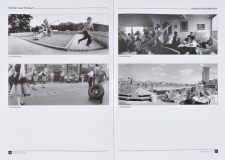 Different to regular formats, the panoramic one either requires a scenario that happens across the whole width of the picture or several parallel stories occurring at the same time, in order to make the entire space of the image come to life. This makes finding the appropriate scenario in the first place a lot more difficult, and requires even more of a good eye and greater intuition than is needed for the challenges posed by the medium of life and street photography, aimed at capturing the moment, as such. 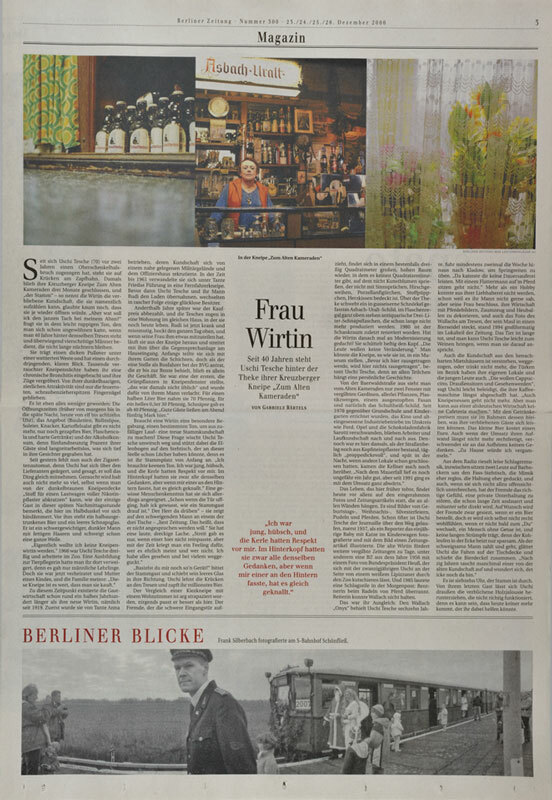 With the weekly feature „Berlin Views“, it becomes apparent that his images and the city are intrinsically linked. 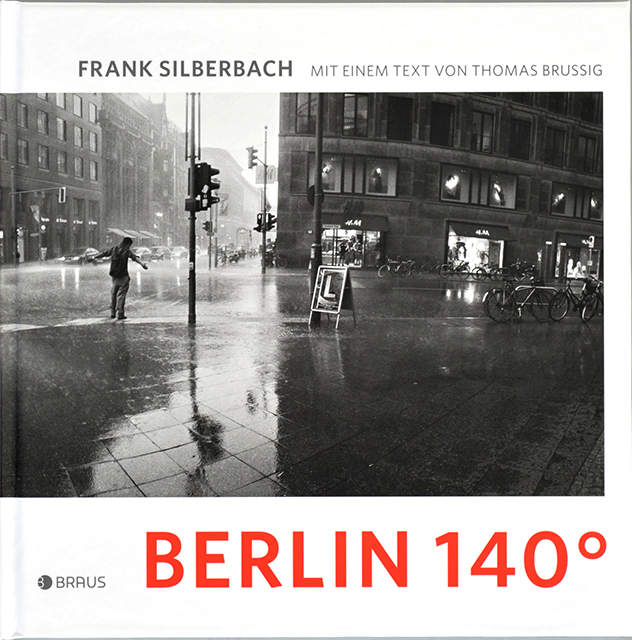 Fact is: Frank Silberbach, who made his first steps in photography in 1978 at the magazine Freie Welt of the publishing house Berliner Verlag based in the former East Berlin, and who left for West Berlin in 1984, knows Berlin in its entirety from his own experience. In giving his current exhibition the question marked title “Why Berlin?”, he is not fundamentally questioning the work, but still leaves his images up for discussion in so far as he is searching for what is specific to Berlin, inviting the viewers to find their own answers. 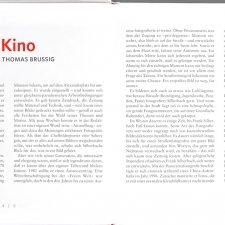 Aside from that, the diversity of images in the current selection clearly shows that he has kept very busy. Different to those strolling the streets and just going with the flow, he makes a point of frequently visiting different places, with his eyes open and his senses on alert. The quality of his photographs is fundamentally informed by his sense of situation, bearing upon his pictures beyond formal-aesthetic aspects. Also, his images are permeated with a positive attitude to life. 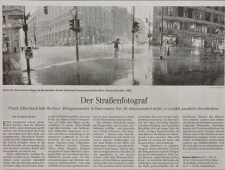 Frank Silberbach shows people without exposing them in a negative light, but rather with undertones of ironic humour. 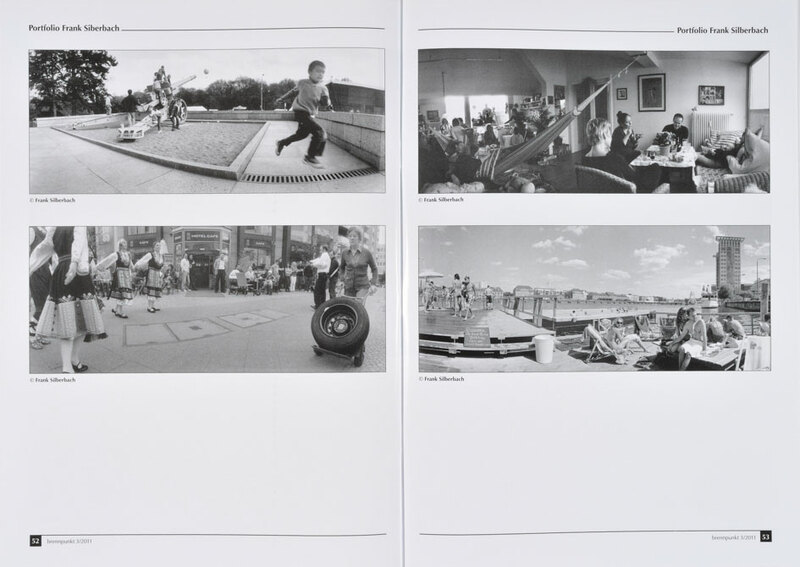 As with all authentic life and street photography, his panoramas are based on his never-ceasing interest in the people around him, in how they behave and interact with each other. Essential to all his photographs, to put it in his own words, is “to rest within myself”. That is what makes them so authentic. 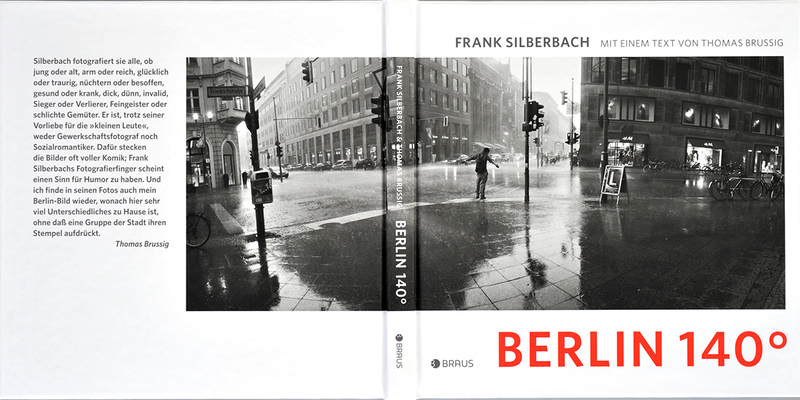 Frank Silberbach captures everyday moments of Berlin as panoramas. He is not just documenting, but tells parallel stories. At least one person seems to be happy about the sky opening up over Berlin, pouring with rain. The man is spreading his arms, succumbing to the wetness so stoically endured by traffic light poles, litter bins, billboards and parked bicycles. Apart from that, Friedrichstraße seems emptied, with just a few scattered figures that have run for cover from the rain, holding out in their shelters. Frank Silberbach’s panoramic street view tells a simple story. It’s raining, not much else is happening. Those discerning the poetry in this damp and hazy scene may be moved to imagine listening to Hanns Eisler’s composition “Fourteen Ways of Describing the Rain”. This piece of music inherits all the facets of rain, from the relieving, cool rain shower on a hot summer’s day in the concrete city, to the kind of melancholic pleasure that may be gained from it. 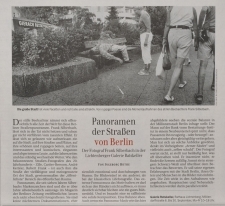 Frank Silberbach (born 1958) has been photographing black and white panoramic views of Berlin streets, squares, river banks, parks, beaches and bars for four years, publishing one of his “Berlin Views” in every weekend supplement of the Berliner Zeitung. 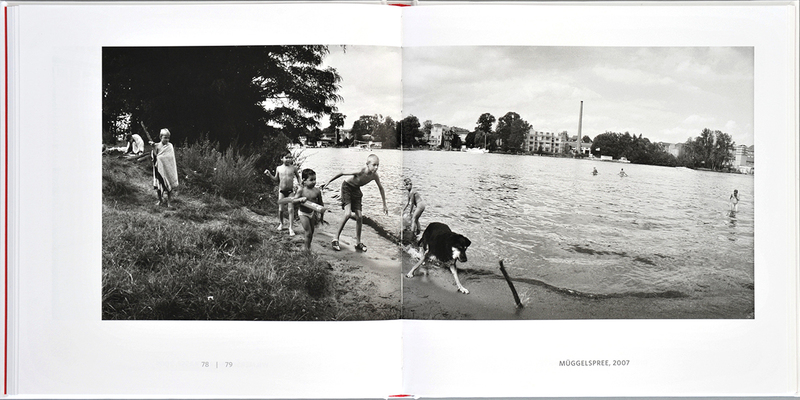 Now, these images can be viewed in a larger format for the first time, in an exhibition at the Fotowerkstatt Monochrom. 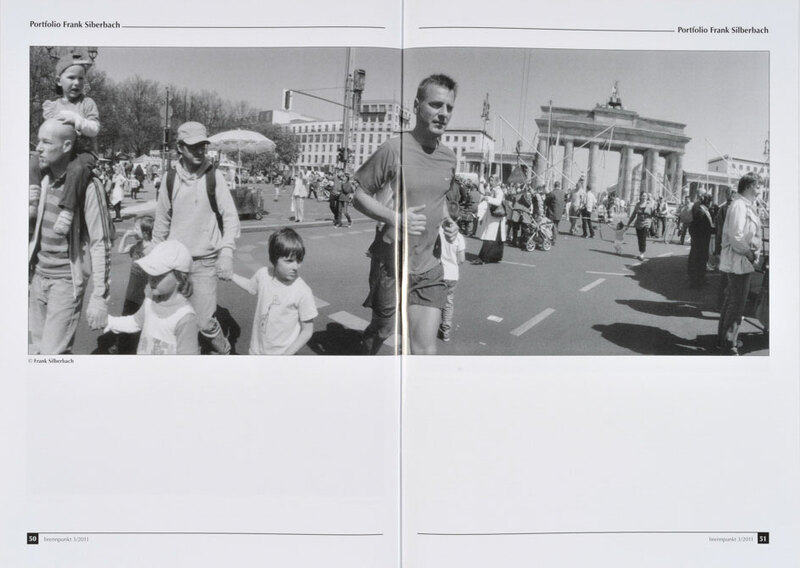 The photographer insists that those scenes he “just” captured coincidentally, in passing - but no doubt attentively awaited and patiently observed - should be “finished” with the viewers' own eyes, inviting them to bring their own experiences of Berlin to the images. 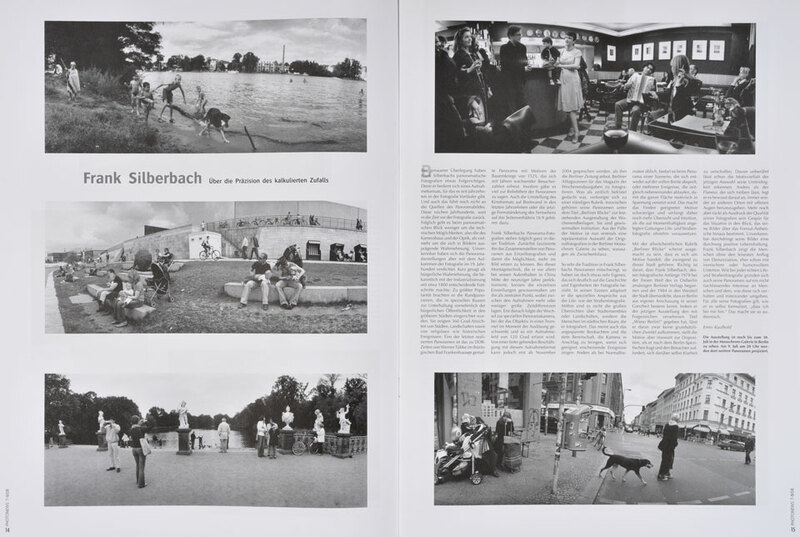 Nothing is arranged in Silberbach’s panoramas, everything is real, but photographed in such a way that time seems to stand still, to be frozen even. And many occurrences seeming trivial at first sight, start to tell their own, parallel stories. As the photographer interprets what he sees emotionally, it never becomes a lifeless documentation. On derelict grounds with leafless trees, somewhere between the boroughs of Wedding and Prenzlauer Berg, a young couple is kissing, a man is lugging building material on his back, houses in the background are being renovated. Everything stands at the beginning: nature, construction, the relationship. Frank Silberbach is a „street photographer“ through and through. 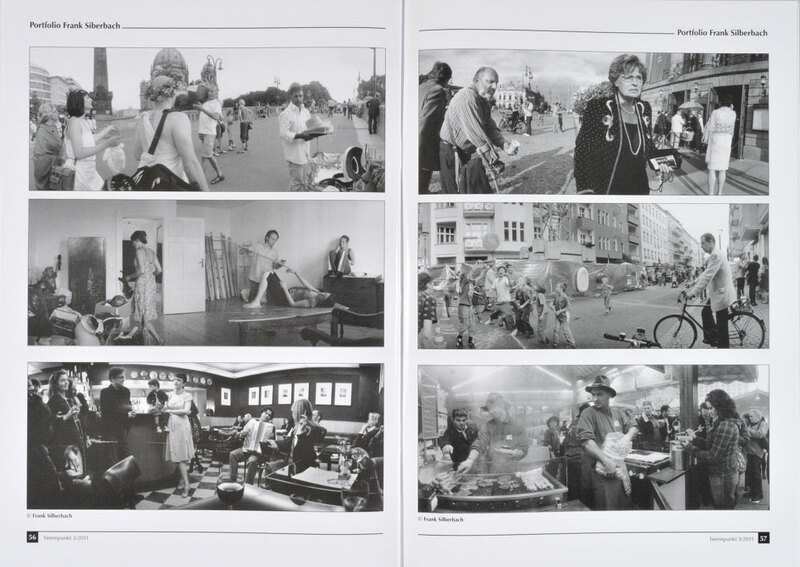 And as to all the renowned street photographers of the 20th century – like Zille, Cartier-Bresson, André Kertéz, Robert Frank – the street is the most diverse and the most frequented place of the city to him. The most “public” place of the public spaces, if you like. It also functions as a stage for everyday life, with moving and static images. Besides, the unpredictability of any situation serves his curiosity, his humour, and also his humility before everyday experiences well. These can be quite special if we allow them to be.